Welcome to Cromore Old Mission Hall: A charming, stone-built cottage nestled peacefully beside pretty Loch Cromore on the stunning Isle of Lewis in the Outer Hebrides. 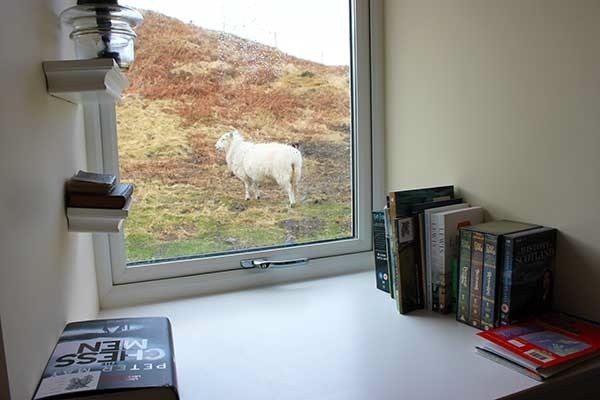 This Hebrides cottage has been tastefully furnished, and boasting lovely views, it provides a perfect, romantic getaway for those looking to enjoy the remote yet rich beauty of the area. The king-size double bedroom has French doors that open out to a private deck, an ideal place for a quiet evening drink, and the open plan living area benefits from a welcoming woodburner and a very well-equipped kitchen. The bright and airy conservatory offers an additional tranquil space, a great place for reading or birdwatching. Outside this Western Isle cottage is a gate that leads to a natural promontory that stretches into the loch, a beautiful, serene spot where you will find seating for unwinding or trout fishing, and a private path for short and relaxed walks. 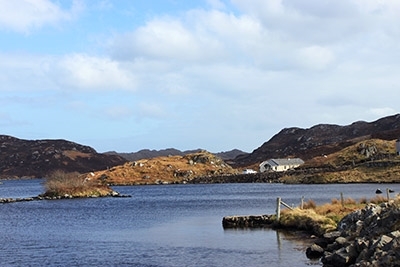 Just six miles from your Isle of Lewis cottage in Kershader is a friendly café and a community shop and ten miles away in Sildinis is a traditional inn serving quality pub food. 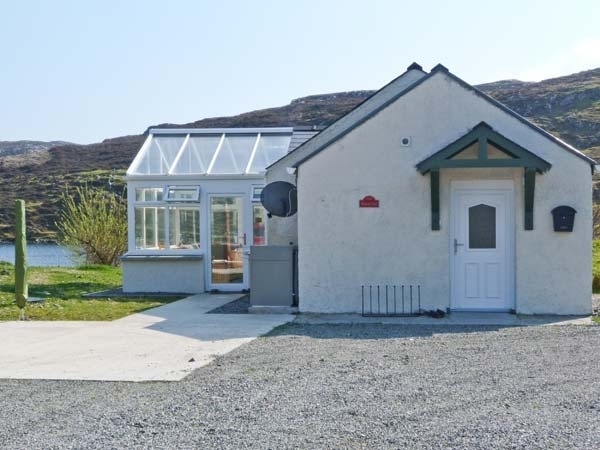 This Hebrides cottage is ideally located for touring the Isle of Lewis, and a visit to the mystical Callanish Standing Stones, situated on the west coast, is a must. A short drive south brings you to the Isle of Harris, which provides breathtaking mountains, and fabulous sandy beaches at Luskentyre and Scarista. 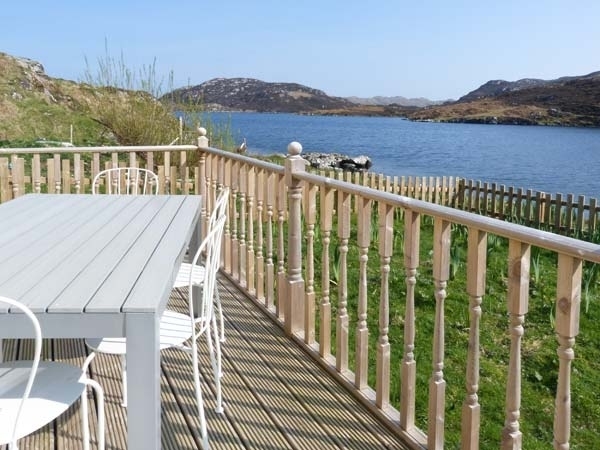 These islands offer a truly spectacular and relaxing getaway, so book this romantic cottage on the Isle of Lewis today for your Hebrides holiday.